Sales of existing homes rose in July, climbing 3.1% to a seasonally adjusted annual rate of 5 million units. Sales were expected to rise by only 1.6%, according to economists surveyed by Thomson/IFR, The Associated Press reported. Prices were down significantly from a year ago, as the median price for a home sold in July dropped to $212,000, down by 7.1% from 2007. U.S. investment bank Morgan Stanley (MS) said yesterday (Monday) its Saudi unit signed the kingdom's first swap agreement, a vehicle that allows foreigners to buy into listed stocks through intermediaries, Reuters reported. "Interest from international investors … is very high, and we expect to see a lot more interest in these swap transactions from investors around the world," Craig Niven, a managing director at Morgan Stanley, said in a statement. Former Treasury Secretary Robert Rubin yesterday (Monday) joined Citigroup Inc. (C) as the company’s "senior counselor.” Rubin will give up the chairmanship of the executive committee, which is being dissolved, but will remain on the board. Rubin served as an economic adviser to President Bill Clinton in 1993 and 1994 and was Treasury secretary from 1995 to 1999. Shares of Ford Motor Co. (F) touched their lowest price in more than 22 years yesterday (Monday). The company closed at $4.41 a share down six cents, or 1.34%, after earlier falling as low as $4.35 in afternoon trading. 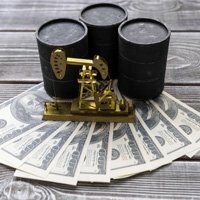 Crude for October delivery increased 52 cents to close at $115.11 a barrel on the New York Mercantile Exchange after a volatile day of trading, MarketWatch reported. The October oil futures contracts traded between $113.68 and $116.06 on concerns that a Caribbean storm could affect supplies. The National Hurricane Center said yesterday (Monday) that a tropical depression in the Caribbean has strengthened into Tropical Storm Gustav. Advanced Micro Devices Inc. (AMD) yesterday (Monday) announced it sold its digital-television chip business to Broadcom Corp. (BRCM) for $193 million. Broadcom hopes to return the loss-generating unit to profitability and expand its presence in the digital TV market, The Financial Times reported. A federal appeals court breathed new life into Star Scientific Inc.'s (STSI) patent lawsuit against R.J. Reynolds Tobacco Co., a unit of Reynolds American Inc. (RAI). The U.S. Court of Appeals for the Federal Circuit, based in Washington, D.C., ruled yesterday (Monday) that a federal trial judge in Maryland was wrong in deciding that Star Scientific's patents were unenforceable, DowJones reported. Gold sank yesterday (Monday) in a quiet trading day as the dollar’s rise led to profit taking by investors. "I think gold is finding its base here. It's mostly technical support holding prices above $820. Any dips below $820 are seen as a buying opportunity," Carlos Sanchez, precious metals analyst at the CPM Group in New York, told Reuters.